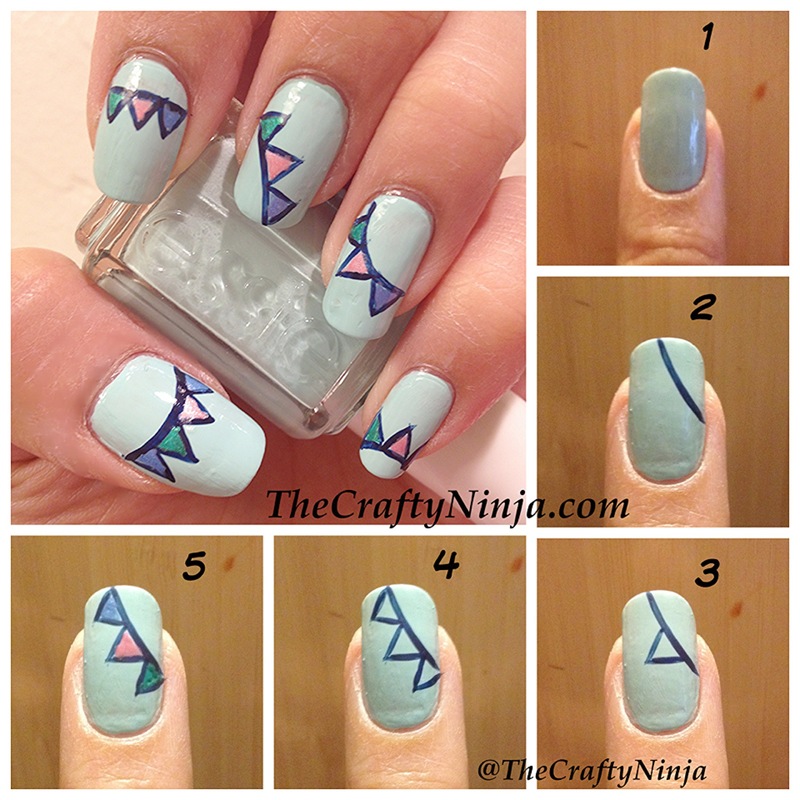 I was inspired by my banner flag on my webpage to create this nail art. They are so cute and fun! Party on my nails! 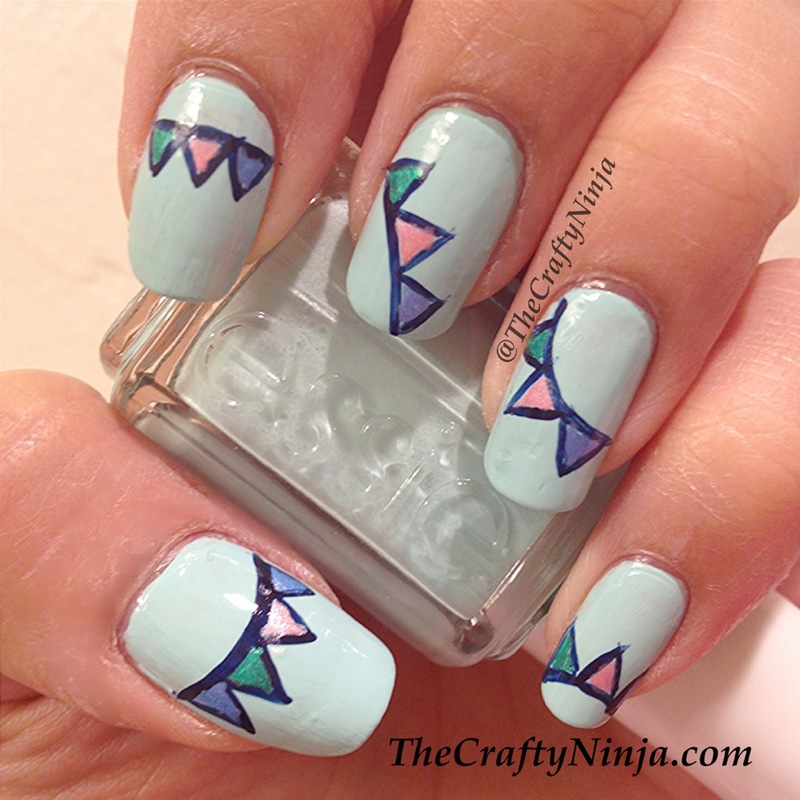 I used Stripe Rite, purchase here, and LA Colors Art Deco, purchase here, nail polishes to create and paint all the details. 1. I used Essie Mint Candy Apple for the base color. 2. Create a curved line using the Stripe Rite paint. Draw a triangle in the middle of the curved line. 4. Add two more triangles to the side of the middle flag. Color in the flags using LA Colors Art Deco polishes.